B.Dent.Sc. ; M.F.D.R.C.S.I. ; M.Sc. U.Lond. ; M.Orth. R.C.S.Edin. Dr Butler graduated from Dublin Dental School in 1996. He spent 6 years working as a general dentist before returning to Dublin Dental School in 2002 and taking the MFD exams at the Royal College of Surgeons in 2003. Dr. Butler then spent a further 2 years as a registrar at Dublin Dental School before moving to the UK to start his specialist orthodontic training at Guys Dental School in London and at Addenbrookes Hospital in Cambridge. 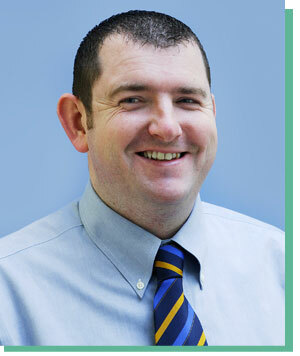 Dr. Butler won the 2008 William Houston gold medal for the best new orthodontic graduate in the UK. He has presented his research not only in the UK but also at scientific meetings in the US and in China. Dr. Butler currently holds a teaching post at Dublin Dental School where he helps to train the next generation of orthodontists. He is an examiner at the Royal College of Surgeons of Edinburgh and also at Guys Dental School in London. He also holds a clinical post with the HSE at St. James Hospital, Dublin. He lives in Dublin and travels to Gorey on Mondays and on Tuesdays.